In front of Hallgrímskirkja church in the centrum of Reykjavik. The tour takes us to the panoramic view of lake Kleifarvatn and the geothermal area of Krýsuvík with its boiling mud and steam vents. It may feel a bit like stepping outside civilization for a moment to feel how the earth breaths. On the other side of the peninsula we continue along the south coast with its fishing villages and open views towards the sea. After a delicious lunch of high quality local ingredients in one of these villages we visit Hellisheiði Power Plant, where we explore how geothermal power in Iceland is being utilized for heating and electricity. 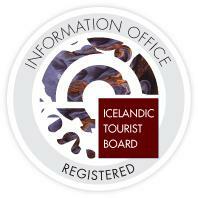 Þingvellir National Park and UNESCO World Heritage Site has a special place in the hearts of Icelanders. At Þingvellir the Vikings established open-air assembly as early as the year 930 and in this place many men and women met their fate for better or worse. Þingvellir is a place of unique geology and natural features, where the continental drift of the Eurasian and North-American tectonic earth plates can be clearly grasped in the many faults that cross the region. Here we have a place where the ever continuing creation of the earth can be witnessed. Included: Guided tour, entrance to geothermal power plant, delicious lunch and samples of local snacks.